95WNIFE tungsten alloy bucking bar price which density is 18.0g/cm3 is 165.00USD/PC on Apr. 16, 2019. Bucking bars are created with tungsten heavy alloys that have two-phase composites consisting of W-Ni- Fe or W-Ni- Cu or even W-Ni-Cu-Fe, some tungsten alloy also contain Co、Mo、Cr, etc. They have very high melting point and have a density twice that of steel and are more than 50% heavier than lead. Tungsten content in conventional heavy alloys varies from 90% to 97% .This high tungsten phase content is the reason for their high density. 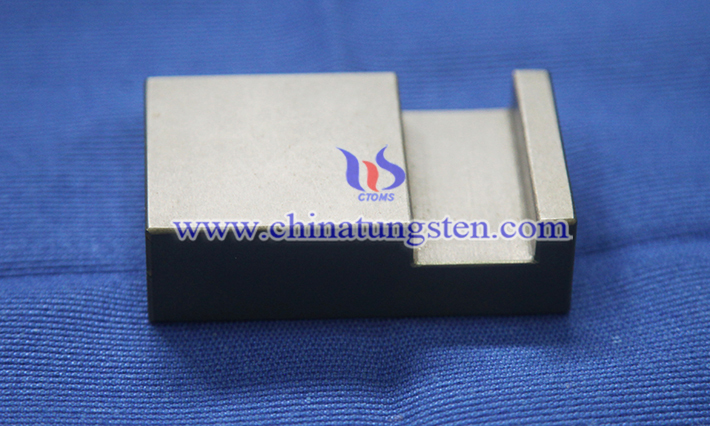 95WNIFE aerospace tungsten bucking bar price which density is 18.0g/cm3 is 333.00USD/PC on Apr. 8, 2019. Tungsten heavy alloys have very high melting point and have a density twice that of steel and are more than 50% heavier than lead. Tungsten content in conventional heavy alloys varies from 90% to 97% .This high tungsten phase content is the reason for their high density. The most important tungsten alloy advantages is that small volume with high density, which means it could be used in some fields need the little but heavy parts, especially for military defense and it plays very important role in projectiles. 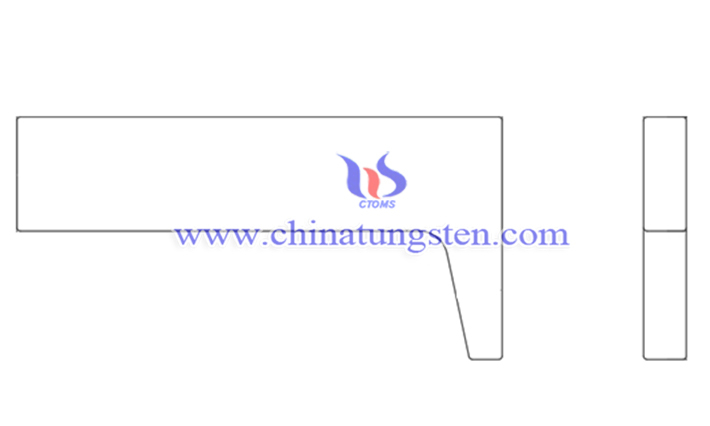 95WNIFE tungsten bucking bar price which density is 18.0g/cm3 is 255.00USD/PC on Mar. 28, 2019. The rivet block forms bucktails on rivets and comes in many different shapes and sizes. The particular shape to be used depends upon the location and accessibility of the rivet to be driven. Its size and weight depend on the size and alloy of the rivet to be driven. Under certain circumstances, and for specific rivet installations, specially designed bucking bars are manufactured locally. 95WNIFE tungsten alloy bucking bar price which density is 18.0g/cm3 is 106.00USD/PC on Mar. 05, 2019. On the surface, tungsten bucking bars may look highly polished. We polish all bucking surfaces to protect the rivet stem and insure the perfect bucked rivet. So scratches are scratched off your list and riveting becomes a smooth ride. The vise cannot be used to clamp bucking bars during operation unless the vise clamp has a protective cover to prevent damage. 95WNIFE tungsten bucking bar price which density is 18.0g/cm3 is 160.00USD/PC on Feb. 21, 2019. Tungsten bucking bars are the bars to call on when space is limited. Almost twice as heavy as conventional steel bars of the same size. In addition to use in tight areas, tungsten bars also significantly reduce vibration and greatly improve operator comfort. All surfaces are polished to permit bucking on any side of the bar and all corners are radiused to prevent material damage. 95WNIFE tungsten alloy bucking bar price which density is 18.0g/cm3 is 754.00USD/PC on Jan. 29, 2019. High density tungsten bucking bars are 50% more dense than lead and over twice the density of steel. It presents an easy way to improve ergonomics in an aerospace manufacturing or other plant. Bucking bar is used on the backside of a metal rivet to counter the hammering force. They also can be used to absorb the force of rivet guns, reducing the vibration of bucking. It has different shapes and dimensions, depending on applicable circumstances. 95WNIFE tungsten ergonomic bucking bar price which density is 18.0g/cm3 is 349.00USD/PC on Jan. 02, 2019. Tungsten bucking bars provide increased weight (density) to allow riveting in confined areas. The weight to size ratio provides a good kinetic energy transfer to expedite the rivet installation process. They greatly reduce the vibration caused by driving rivets reducing or eliminating damage to the hand. The surface is precision ground with polished faces for that professional look in your set rivets. 95WNIFE aerospace tungsten bucking bar price which density is 18.0g/cm3 is 640.00USD/PC on Dec. 26, 2018. Tungsten bucking bar is a work tool used to form bucktails on rivets. It comes in many different shapes and sizes. The size and weight of the bar depend on the size and alloy of the rivet to be driven. Under certain circumstances, and for specific rivet installations, specially designed bucking bars are manufactured locally. 95WNIFE tungsten alloy bucking bar price which density is 18.0g/cm3 is 69.50USD/PC on Dec. 07, 2018. The bucking bar forms bucktails on rivets and comes in many different shapes and sizes. The particular shape to be used depends upon the location and accessibility of the rivet to be driven. Its size and weight depend on the size and alloy of the rivet to be driven. Under certain circumstances, and for specific rivet installations, specially designed bucking bars are manufactured locally. 95WNIFE tungsten rivet block price which density is 18.0g/cm3 is 380.00USD/PC on Nov. 30, 2018. Tungsten rivet block is made of tungsten alloy materials that have two-phase composites consisting of W-Ni- Fe or W-Ni- Cu or even W-Ni-Cu-Fe, some tungsten alloy also contain Co、Mo、Cr, etc. They have very high melting point and have a density twice that of steel and are more than 50% heavier than lead. Tungsten content in conventional heavy alloys varies from 90% to 97% .This high tungsten phase content is the reason for their high density.